(Eagle News) — There’s a new sitcom to watch on Philippine television this coming Saturday, March 5 at NET 25. 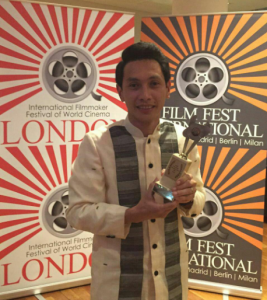 It’s the hilarious “Hapi ang Buhay” which is written and directed by Carlo Jay Ortega Cuevas, who recently won as Best Director at the 2016 International Filmmaker Festival (IFF) of World Cinema in London. 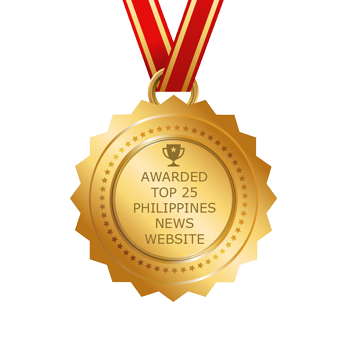 “Hapi ang Buhay” is, in fact, a spinoff of INCinema’s first-ever full length film, “Walang Take Two” for which Cuevas bagged the best director of a foreign language feature film award. 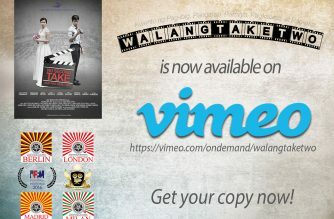 “Walang Take Two” was also nominated at the same London Filmfest for best comedy feature film. These certainly are just two of the many reasons to watch “Hapi ang Buhay” on Saturday, March 5, at 4 p.m. on Net 25, the television channel of Eagle Broadcasting Corporation (EBC). 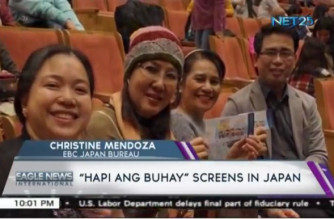 The sitcom will also be replayed on March 6, Sunday at 9 p.m.
“Hapi ang Buhay” resumes to narrate life in a usual urban Filipino community as the neighborhood encounters various timely social issues. Hapi, played by John Stevenson Tabangay, is a starry-eyed aspiring filmmaker who continues his quest to fulfill his dreams. Together with him are Onyok (played by Edward Flores) his levelheaded ally who tries to steer him into making rational decisions, and Caloy (played by Erbil Escaño), a loyal but carefree friend whose soaring overconfidence often puts him in precarious situations. Also returning are Alfajor (Wilson Tapalla), the persistent loan shark, and the mischievous Oblax (Dennis Garcia). Join them as they attempt to make sense of everything, while weaving through life’s hilarious side and picking up valuable lessons along the way. The cast of “Hapi ang Buhay” – which comes from the movie “Walang Take Two” — consists of first-time actors and actresses whose acting skills were honed only through their participation in previous INCinema short film productions. The INCinema films are among the projects of the INC to hone the cinematic talents of INC members who are interested in filmmaking, not only in the Philippines but in other countries as well. 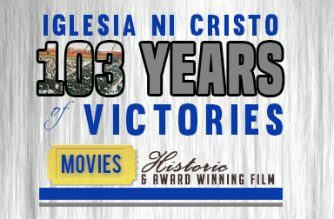 The cast and those who worked behind the scenes — from its director, scriptwriter to the actors and actresses featured in the film — were in fact all winners in the previous EVM (Excellence in Visual Media) awards of various INCinema productions, which were held under the guidance of INC Executive Minister Brother Eduardo V. Manalo. 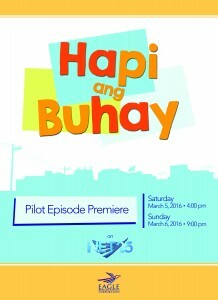 Hapi ang Buhay is Eagle Broadcasting Corporation’s first-ever situational comedy. 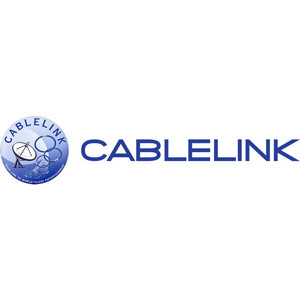 This is also in line with its aim to entertain, and at the same time, educate the public with its line-up of programs.